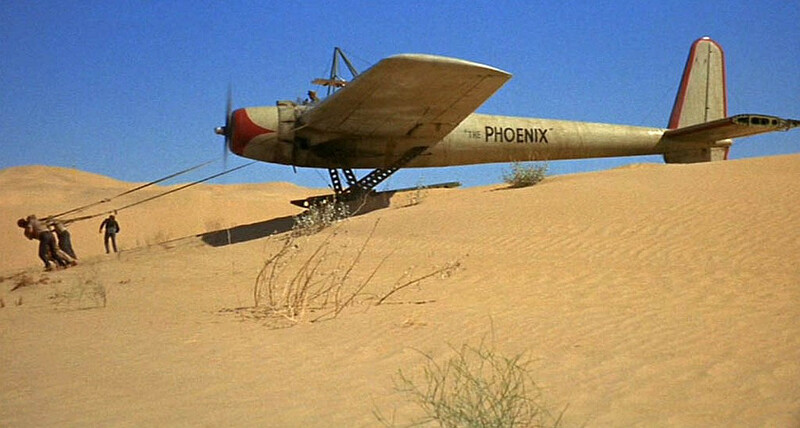 When I was perhaps ten or eleven I was utterly captivated by a film made in 1965 (the year I was born) called “The Flight of the Phoenix” which starred James Stewart as Frank Towns, the captain of a twin engined Fairchild C-82 cargo plane. Whilst Towns and a dozen or so other men are flying across the Sahara desert en route to Benghazi in Libya they encounter a sudden sandstorm which shuts down the engines and forces them to crash-land in the desert and those who were not killed instantly or badly injured necessarily quickly turn their attention to the question of how to stay alive until rescue comes. Although they have a large quantity of dates on board they quickly work out that, at best, their water will last for only a couple of weeks. When help doesn’t immediately come three of them attempt to walk to an oasis. Days later, one of them returns alone to the crash site and very near to death. Despair threatens to set in. However, one among them, an aeronautical engineer called Dorfmann (played by Hardy Krüger), has the crazy idea that perhaps they can build another, smaller aircraft from out of the wreckage and fly themselves to safety in that. It may be a crazy idea but it helps them all begin to focus their remaining energy and hopes on something positive. However, as they proceed with the new plan, Towns and his navigator Moran (played by Richard Attenborough), discover that Dorfmann designs model aeroplanes and not, as they had initially assumed, full-sized aircraft. Although Dorfmann insights that the principles are exactly the same Towns and Moran are, perhaps understandably, horrified at the idea of flying an aircraft made by a man who, as they say, works with “toys”. However, without any other plan to follow Towns and Moran decide to press on without telling the others of their discovery. As you might imagine much of the film’s impact is to be found in its exploration of the wild ups and downs felt by the protagonists. All of that I leave aside for you to discover yourself and I’ll simply skip to the end of the film when the aircraft is finally finished. With an explicit nod to the ancient Greek legend, they christen the ramshackle ad hoc plane, “The Phoenix”. After a few more tense moments as they try to start the engine — they only have seven starter cartridges the first four of which fail — the plane does succeed in taking-off and the survivors are able to fly to a near-by oasis where they experience both the ecstasy that comes with having survived something so potentially catastrophic and also, for Towns and Dorfmann, the consummating joys of reconciliation. PHOENIX (Gr. φοῖνιξ), a fabulous sacred bird of the Egyptians. The Greek word is also used for a date-palm, a musical instrument like a guitar, and the colour purple-red or crimson. According to the story told to Herodotus (ii. 73), the bird came from Arabia every 500 years, bearing his father embalmed in a ball of myrrh, and buried him in the temple of the sun. 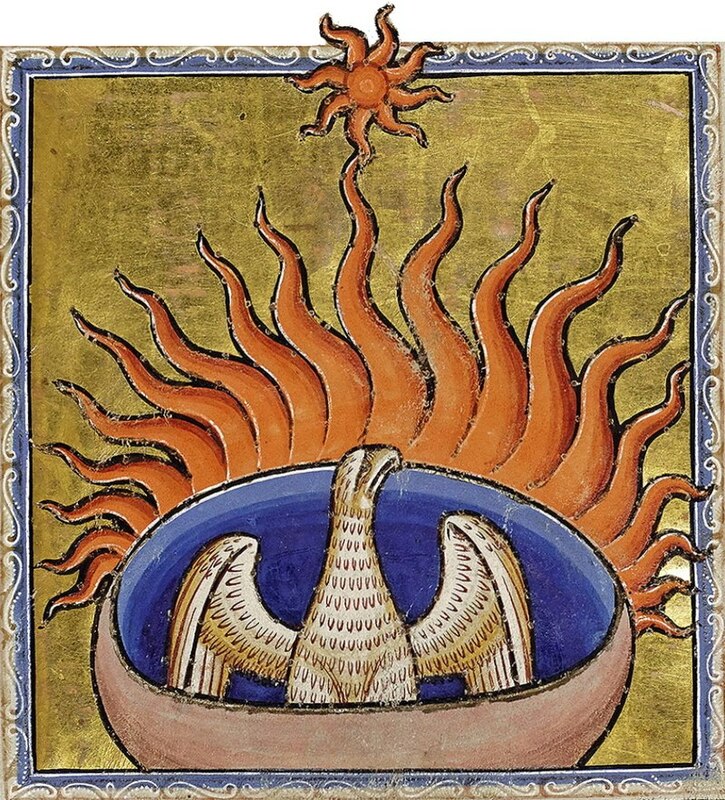 Herodotus, who had never seen the phoenix himself, did not believe this story, but he tells us that the pictures of it represented a bird with golden and red plumage, closely resembling an eagle in size and shape. According to Pliny (Nat. hist. x. 2), there is only one phoenix at a time, and he, at the close of his long life, builds himself a nest with twigs of cassia and frankincense, on which he dies; from his corpse is generated a worm which grows into the young phoenix. Tacitus (Ann. vi. 28) says that the young bird lays his father on the altar in the city of the sun, or burns him there; but the most familiar form of the legend is that in the Physiologus, where the phoenix is described as an Indian bird which subsists on air for 506 years, after which, lading his wings with spices, he flies to Heliopolis, enters the temple there, and is burned to ashes on the altar. Next day the young phoenix is already feathered; on the third day his pinions are full grown, he salutes the priest and flies away. The period at which the phoenix reappears is very variously stated, some authors giving as much as 1461 or even 7006 years, but 500 years is the period usually named; and Tacitus tells us that the bird was said to have appeared first under Sesostris (Senwosri), then under Amasis (Ahmosi) II., under Ptolemy III., and once again in A.D. 34, after an interval so short that the genuineness of the last phoenix was suspected. 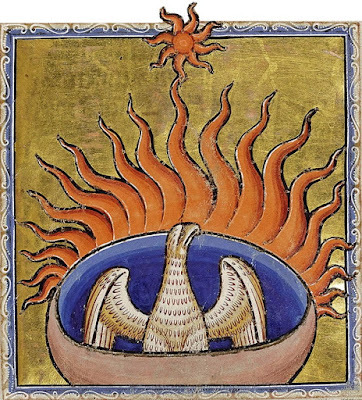 The phoenix that was shown at Rome in the year of the secular games (A.D. 47) was universally admitted to be an imposture. The form and variations of these stories characterize them as popular tales rather than official theology; but they evidently must have had points of attachment in the mystic religion of Egypt, and indeed both Horapollon and Tacitus speak of the phoenix as a symbol of the sun. As I mentioned in the readings, I first saw the film “The Flight of The Phoenix” over forty years ago but it is only in the last ten years of my ministry that I have come to interpret its basic story as a parable for something I think always needs consciously to be going on in any religious or philosophical tradition for it to be considered healthy and genuinely trustworthy. Although the fact that being a minister of religion with an official rôle in both a local and national church community might suggest otherwise, I’m not, in truth, someone who likes formally joining any kind of group — least of all religious or philosophical ones. They mostly give me the willies — urgh . . . This is one of the reasons why, some five or six years ago, I introduced into the morning service “The Tradition”. It’s so you, too, can get a similar sense to me of this radical, free-thinking, liberal philosophical and religious tradition’s general direction and vibe over the four-hundred-and–fifty years of its existence. As far as these things go I think it’s a genuinely remarkable and honourable tradition to be associated with and, despite it’s many significant historical and present faults (of which I realise I may at times be a representative example), I can’t imagine being involved — as a minister anyway — in any other kind of religious or philosophical community except, perhaps a generally Epicurean or Lucretian inspired one . . . Anyway, this mention of “significant faults” is not something I’ve done merely as a piece of rhetorical self-deprecation designed to make the Unitarian tradition (and me for that matter) appear more humble and trustworthy than it actually is. 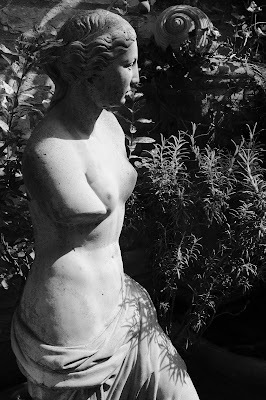 Instead, I mention its less than perfect nature because it helps me point to something much more primordial and structural that is almost never mentioned nor noticed by most religious or philosophical traditions — including, alas, even our own. Now, before I go on, be warned that in a moment I’m going to present you with a picture, the substance of which is in my opinion, ultimately illusory, but I need to present it to you because it can seem highly plausible and, consequently, it can and often does hold us problematically captive. It’s certainly held me captive at times. But, let me follow the advice of the philosopher J. L. Austin who once said, “There’s the bit where you say it and the bit where you take it back” (Sense and Sensibilia, p. 2). Let me begin by saying something that, in a moment, I’ll be taking back. When, in our culture at least, a person decides to seek out a religion and/or philosophy to follow I’ve noticed many (most?) people generally start out by looking for one which has an established stable theory about the ultimate beginning, end and ethical and physical underpinning of the world with which they agree and which can, simultaneously, also provide them with a gleaming, efficient flying “machine” (i.e. buildings, doctrines, practices, rituals and a hierarchy — pilots and cabin crew if you will) safely to take them on a single-leg, long-distance flight to that ultimate end — some capital “F” Future (see last week’s address), already known ultimate destination often called “The Kingdom of God”, the “Golden City on the Hill”, “Nirvana”, “Enlightenment” or whatever. Now, in a messy, chaotic and confusing world seeking out this kind of thing is a perfectly understandable activity to engage in. It should come, therefore, as no surprise that, historically speaking, most religions and philosophies (at least those of the old metaphysical kind) have been in the business of assuring us that they do, in fact, provide us with just this kind of gleaming, efficient flying “machine” capable of taking us to the desired ultimate destination and we, in turn, have often proven only too willing to believe what they tell us is assuredly true. But are religions and philosophies really like this? Fortunately, in this instance, I was able to get off before I reached the end of the runway and found myself committed to becoming an Anglican priest. Discovering this was terribly disappointing but, alas, my disappointment failed to stop me from continuing to seek out that gleaming, efficient flying “machine” and I next thought I had found it when I discovered the Unitarian tradition. I carefully checked it out via books in the library — this was all pre-internet remember — and also by making a few, low-key visits to the local church in Suffolk which eventually encouraged me to commit to boarding it for the long flight. Alas, it was only when I had been in the air for quite a while — and well on the way to becoming one of its ministers — that I discovered it too was a terribly rusty and ramshackle aircraft with significant faults and that neither was she going to complete the journey I thought I was on. 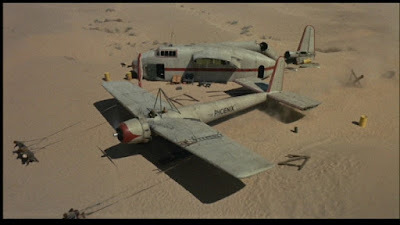 After finishing my training I, like the passengers and crew of the Fairchild C-82 cargo in the film, suddenly found myself, figuratively speaking, on the desert floor still, thankfully, alive but now not sitting in a gleaming, efficient flying “machine”, but lying in the midst of its ashes and scattered wreckage. 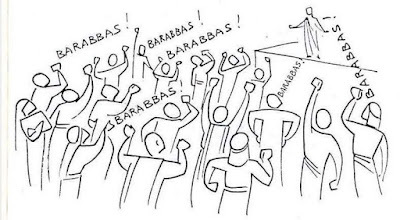 est but still absolutely vital task, namely, that of putting together in an ad hoc way all the available still-working resources around me in such a fashion that I could simply find a way to fly me and the members of the local congregation to the next oasis. Although the aircraft — the Phoenix — we, together, have been fashioning since 2000 from out of the ashes and wreckage is never going to be either obviously gleaming or super-efficient it could still be one which did the required, and beautiful life saving job of getting us all out of the desert and to a place where life we can, once again, live a supportable and genuinely happy and fulfilling religious life together. Now, having told you this story, here’s where I begin to take much of it back. 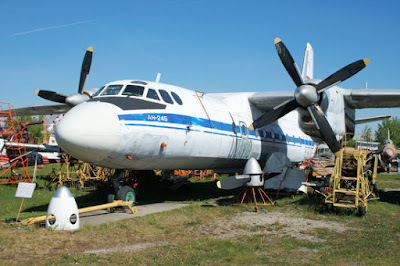 This is because, as I have told it so far, the story relies upon the captivating picture that there did, in fact, once exist a real, gleaming, efficient flying “machine” capable of flying to some known ultimate destination. But over the eighteen years of my ministry, as I have got used to trying daily to make with you our own ad hoc philosophical and religious Phoenix from the wreckage/ashes of previous philosophies and religions simply so as to be able to get to the next oasis, I have begun to see more and more clearly that this is really what has always and only ever been being done every day by every religious tradition, church and person. The gleaming, efficient philosophical or theological “machine” never really existed and there never has been some known ultimate, already known destination towards which we are assuredly travelling. At this point it’s worth consciously recalling the meaning of the latin tag “ad hoc” which I’ve just used — it simply means “for this”. Consequently, in English, it signifies a solution designed for a specific problem or task that is non-generalizable and is not intended always to be able to be adapted to other purposes. In truth, is this not always the case with all philosophies and religions? Seen in this fashion philosophy and religion’s limited, modest task — though still absolutely vital — has always been simply to help us find in the current context, and using the currently available bits and pieces around us, appropriate, poetic and scientifically satisfactory and supportable ways to go on so that we may reach the next oasis where we hope to be able to rest up a bit, drink a few cold beers, have a good meal and begin to take stock once again before together building (with hopefully always new and honed insights) the next Phoenix in the effort to get through the next day? Of course, there remain many religions and philosophies that will continue to tell you that they are offering you a flight on a shiny, efficient machine heading heroically towards assured redemption in some already known ultimate destination. But, in the light of my foregoing words, I’d caution you to treat this claim with the greatest skepticism. As far as I can see, the only philosophies or religions that seem to be truly worth trusting and following are those where everyone involved is completely aware that they are, in fact, engaged in the incredibly modest, un-heroic but still satisfying and beautiful ad hoc task of making the next “Phoenix” to take as many people as they can to the next available oasis and, as best and joyously as possible, to get through next day. Usually the Phoenix is understood as being, in the end, a purely mythical bird but, at least in my parable, I want to say that, in fact, it may be the only real bird available to any of us and that it is — when looked at aright — far more gleaming, beautiful and colourful than any of the apparently gleaming, efficient machines you’ll find advertised elsewhere in the religious and philosophical marketplace of ideas.